Starting on Tuesday December 6th, for three consecutive weeks Jonathan Davis, Realtor® and Smart Home Tech LLC will be giving away a new Smart Home product which will be installed free of charge for you at a mutually agreed upon time. They will announce the product every Tuesday (12/6/16, 12/13/16 and 12/20/16) on https://www.facebook.com/SmartHomeTechLLC/. The winner will be drawn and notified the Thursday following the product announcement (12/8/16, 12/15/16, 12/22/16 respectively) between 10:00am – 12:00pm. To be eligible the winner must be a MA resident with an address North of Boston and East of Route 93 who owns the property in which the device will be installed. If you are eligible you are encouraged to like or share the product announcement post that is made each Tuesday. All FB users who have liked or shared the product announcement post by 9:30am on the respective Thursday will be included in the random drawing. A recent survey* conducted by Coldwell Banker Real Estate LLC and Parks Associates revealed 57 percent of respondents would consider an older home “updated” if it had smart home technology. So, who wants to buy a Smart Home? According to the Coldwell Banker Smart Home Marketplace Survey**, the smart home is going mainstream fast - and the technology is addicting. Almost half (45 percent) of all Americans either own smart home technology or planned to invest in it in 2016. 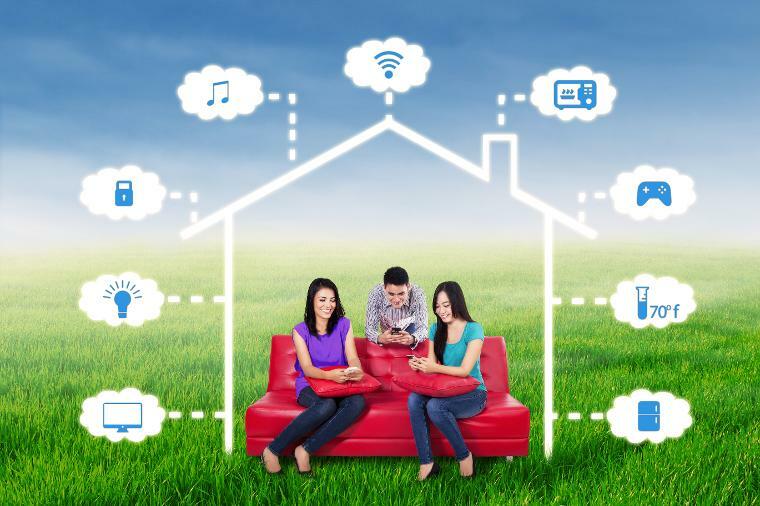 Of people who do not currently have smart home technology, more than one in four (27 percent) said they will incorporate it into their lives in 2016. Of people who either have smart home technology or planned to buy it in 2016, more than one in three (36 percent) don't consider themselves early adopters of technology. 70 percent of people with smart home technology said buying their first smart home product made them more likely to buy another one. When asked about the types of pre-installed smart home technology that would be most appealing if they were buying a home, most Americans said smart security (58 percent) and temperature (56 percent). The least popular types of smart home technology to home buyers are smart appliances (e.g., smart refrigerators, washers and dryers (34 percent) and entertainment (29 percent). *Full survey details found here. **Full survey details found here. Jonathan Davis is affiliated with Coldwell Banker Residential Brokerage in Beverly, MA. He has been Smart Home Certified by Coldwell Banker and is excited to bring that knowledge to the professional services he provides buyers and sellers. Visit www.jonathandavisrealestate.com/cp/smart-home/ to learn more about Smart Home Technology. Smart Home Tech LLC provides product assessment, installation, education, and troubleshooting services on the North Shore of Massachusetts. Please visit http://www.smarthometechllc.com/ or find us on Facebook at https://www.facebook.com/SmartHomeTechLLC/. The company is now booking January installations at special introductory 2017 pricing.